Product categories of Hot Work Dished Head, we are specialized manufacturers from China, Hot Work Dished Head, Hot Work Clad Plate Dished Head suppliers/factory, wholesale high-quality products of Hot Work Hemispherical Head R & D and manufacturing, we have the perfect after-sales service and technical support. Look forward to your cooperation! Introduction: our Dished Heads are used in a variety of applications and industries such as storage tanks, pressure vessels, road tank, food processing operations, chemical plants ,Nuclear operation, Oil Refining, Architectural feature, power generation. Carbon steel heads are fully formed above 1650F,then allowed to cool and normalize.Chrome alloy steel are forming at higher temperature. 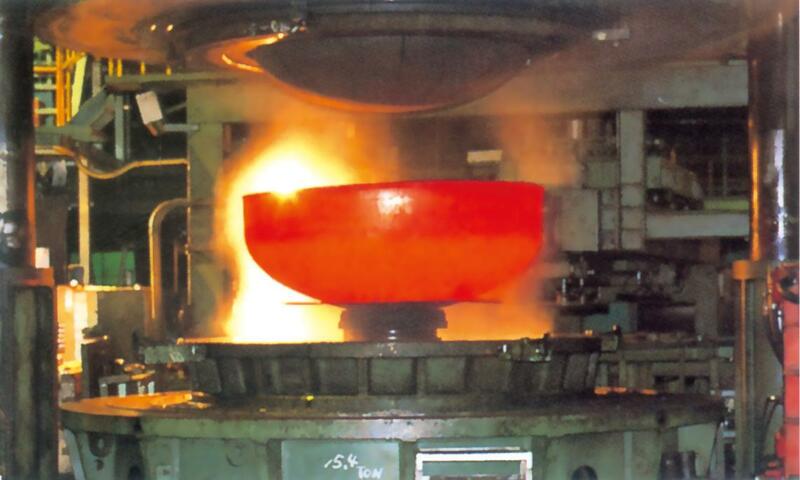 The original plate mill heat treatment cycle are repeated to restore the plate to its original condition. All our heads are hot-formed, seamless, and descaled (shot blast for carbon and low-chrome alloys, sand blast for stainless steels, high-nickel alloys, and some "exotic" plates).